dSpace announces version 4.4 of its TargetLink production code generator. 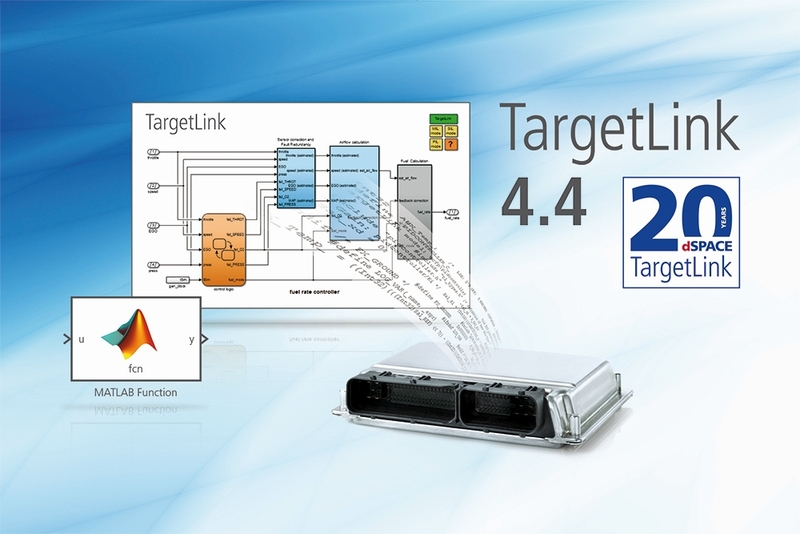 TargetLink 4.4 now supports Matlab code in Simulink models. The main feature of TargetLink 4.4 is the modeling of the controller with Matlab code. With a new MathWorks licensed optional module, TargetLink 4.4 now meets developers’ requirements for algorithm description and behavior directly with Matlab code in a Simulink model. The TargetLink Module for Matlab can be used to map this modeling process. Production code developers are thus able to generate Simulink C production code directly from the control functions, described with Matlab code in Simulink models. In addition to using finite state machines and blocks, it is possible to use another resource to model the systems to be implemented with TargetLink. A new feature allows production code generated with TargetLink to be validated and tested on a real-time dSpace system coupled with the ConfigurationDesk implementation software to verify code performance under real conditions. 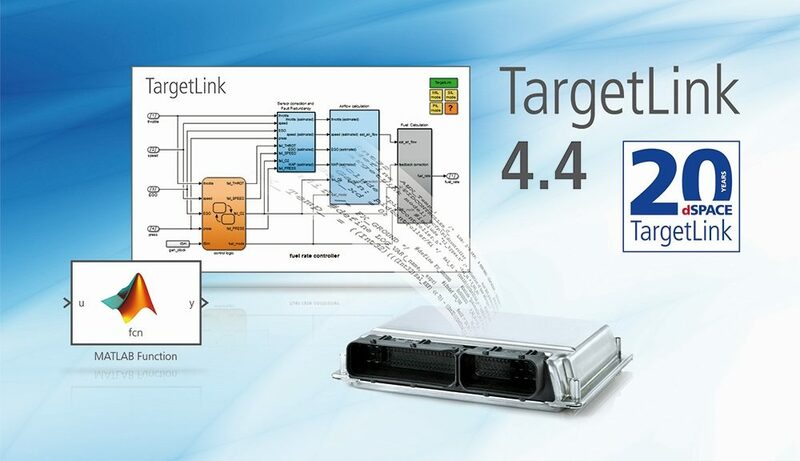 TargetLink 4.4 is compliant with Autosar 4.3.1 and offers optimized options for designing software components that meet this standard. Autosar splitting elements can be used to better separate the roles of software architects and developers during ARXML export. The visual representation of model libraries in the user interface has also been improved, simplifying cooperation in distributed development. 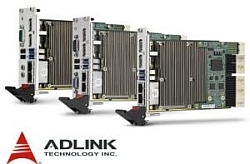 For Processor-In-the-Loop simulation, TargetLink 4.4 now supports Lauterbach’s ISS (Instruction Set Simulator) to execute and validate production code compiled directly on an ISS as a target, without the need for additional hardware.